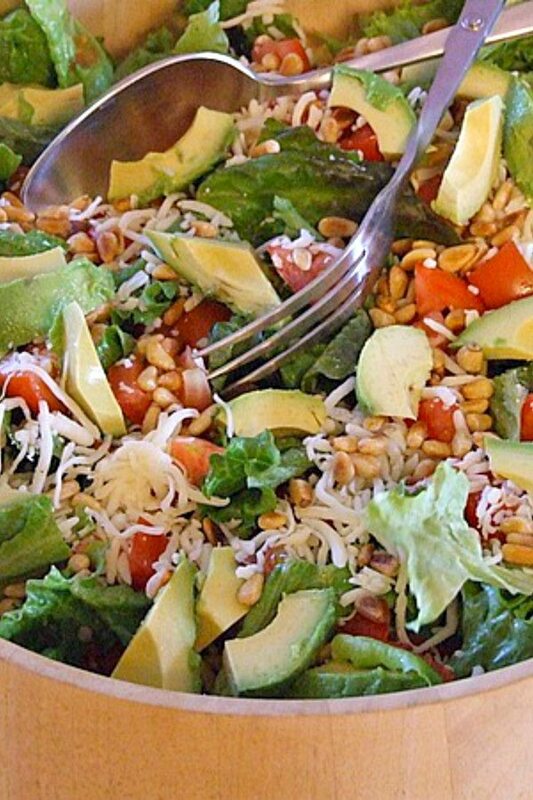 I’ve been making this Avocado Pine Nut Salad for YEARS. First discovered at my sister’s house eons ago while plowing through her loads of community cookbooks, this has since become a classic family favorite. It’s a simple salad with a short list of ingredients. The dressing is tangy and and delicious! 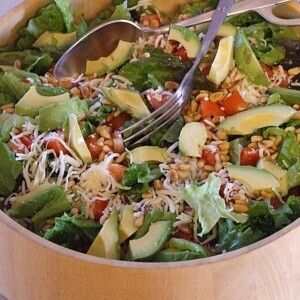 Watch the short video showing you how to make this Avocado Pine Nut Salad, then scroll to the bottom of this post and print out the recipe so you can make it at home. 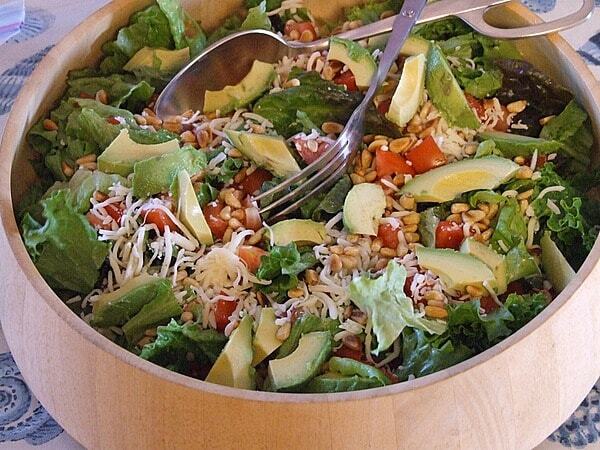 Need a great salad for a potluck? This is it. Need a salad that most people will eat? I’ve got you covered. Need a new side salad for dinner because you’re tired of the same old thing? This is the one. It’s simple, and it’s darn good. Many in my extended family and network of friends have now incorporated this salad into their meal rotations. It’s that good! Add grilled chicken to make this a main dish salad. This has been my family’s favorite salad recipe for years and years. Every family gathering we have, this salad makes an appearance! And every event you bring it to, everyone will ask you for the recipe! Tip: to quickly toast the pine nuts, just put them in a small fry pan over medium heat. Watch them closely, and use a wooden spoon to move them around until they are lightly toasted. Be careful- they’ll burn if you don’t tend to them! Pour them onto a paper towel to cool before adding them to your salad. Place dressing ingredients in shaker jar. Shake well (or whisk in a bowl) and refrigerate until chilled. 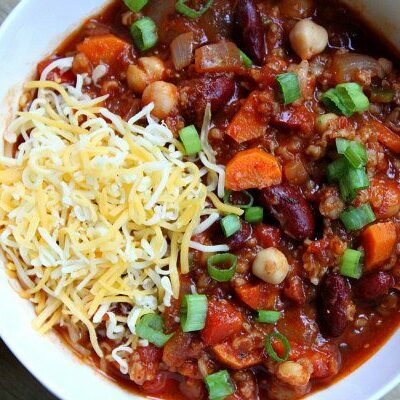 Add salad ingredients to a large bowl and toss with the chilled dressing (add a little at a time until you have used a desired amount). An easy way to roast raw pine nuts is to dry roast them in a heated saucepan, stirring often so that they do not burn (they burn easily if not watched). Grill some chicken and marinate it in the salad dressing for a great summer, main-dish salad! I love a salad, this looks spectacular! That sounds so good. 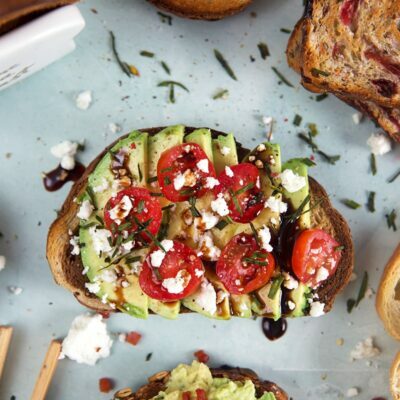 I’m a huge fan of both avocados and pine nuts, so I know I’d love it! Thanks for the shout-out for my baby arugula salad. Why,why,why do people take a well thought out recipe and change so many things out? If the posted recipe caught your attention and sounds good…..then that is a recipe…..if you are changing things out you should have your own recipe sight and post your changed up recipes…..if it aint broke..dont fix it! Nice recipe!!! This salad is great! I used kale, red lettuce and iceberg and it was a big hit with my family! So making these! Gotta find the pine nuts though. Love this combination; switch the lettuce for pasta and the white vinegar for balsamic and you have the makings of my favorite summer dish too! Except for the mustard… this looks wonderful! 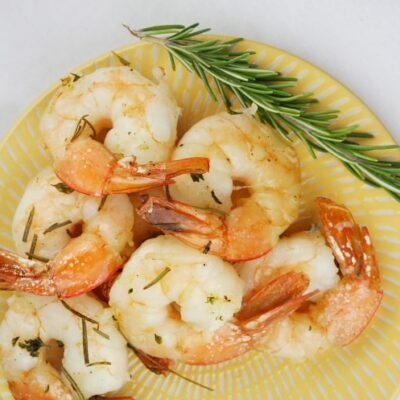 Trust me… the mustard mixed w/ the white wine vinegar makes a wonderful, tangy dressing. We use it for everything! 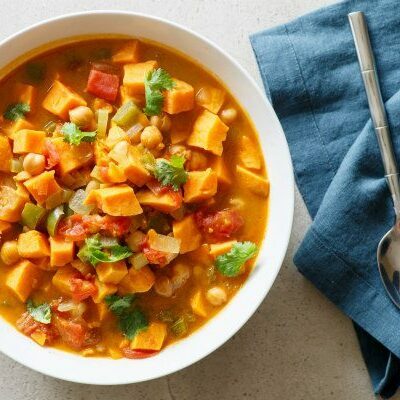 I like everything about this recipe! Saw this on twitter and just had to come and look. Avos are just the best and coming ripening fast on my tree….thx for sharing! Definitely going to try this one! And we can use raw milk mozz to make it a raw meal. Thanks, Lori!